Beautiful embroidered spice bag filled with cloves for use during Havadala designed by Yair Emanuel. 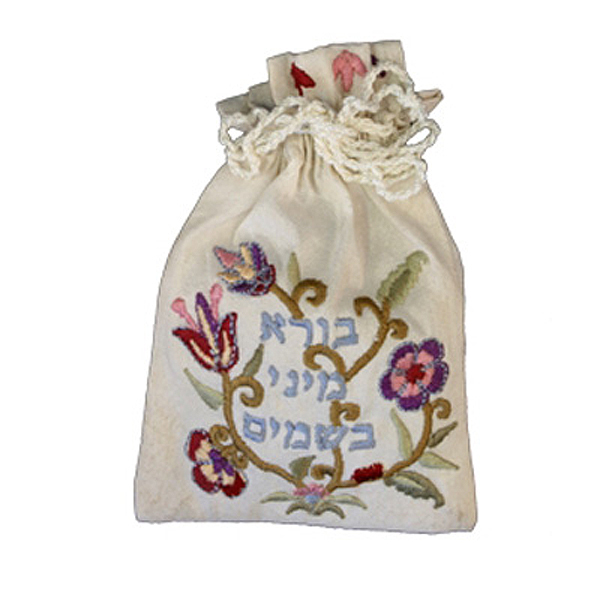 A colorful Besamim bag [spice bag] with the blessing on the spices - Boreh Minei Besamim - embroidered on it. Filled with cloves to provide a lovely scent to end off your shabbat or holiday.